Another highly successful project collaboration with Michael Chafee Enterprises, this time creating a high performance outdoor live music venue stage system. The loudspeaker compliment included 2 full range stage mains, ground mounted subwoofers and 2 delay towers - all utilizing high performance weatherproof products by One Systems, complimented with Symetrix processing and over 10,000 watts of QSC amplification. This superior fidelity system delivers ultra-powerful and dynamic sound levels with smooth linear coverage over a long distance without overwhelming the near-field arena, by virtue of the perfectly sonically matched delay towers. World class musicians, bands and entertainers have been raving after performing thru this superb system. Design, project management and installation services. A collaborative project with Michael Chafee Enterprises to supply a high quality outdoor sound system covering the 4 block length of Main St. as well as a main Gazebo Stage reinforcement system. A total of 24 One Systems Model 108IM loudspeakers were installed in dual arrays, seamlessly covering the entire 4 block area of downtown Main St. with a pair of the remarkably powerful 312IM's handling the Gazebo Stage arena. Over 8,000 watts RMS of audio power provide more than enough headroom, resulting in superb intelligibility and crystal clear sound (or to quote Senior Consultant Michael Chafee, "The clarity and intelligibility of the new system is phenomenal – like auditory gold"). This installation features high performance weatherproof loudspeakers by One Systems as well as premium electronics by Symetrix (processing) and QSC (amplification). Located in the heart of Miami’s Art District, GCTS created a dynamic and highly effective foreground music playback system for this multi-use venue, which hosts world class art shows as well as a wide variety of other high profile events. Four (4) dual cluster, full range speaker arrays were augmented by four (4) floor mounted subwoofers to provide perfectly even sound dispersion throughout the venue. This robust system is powered by 7,500 watts of QSC amplification, enabling effortless ‘cruising’ sound levels in excess of 100 dB SPL. Design, equipment sales, project management and installation services. A truly cutting edge high profile entertainment complex. Design, project Management and installation of all audio systems, as well as HD video installation support. An ultra-high fidelity multi-zone distributed sound system fills multiple areas including sushi bar, tapas bar, sports bar, private wine room, VIP room, sky boxes, outdoor tiki bar and patios. 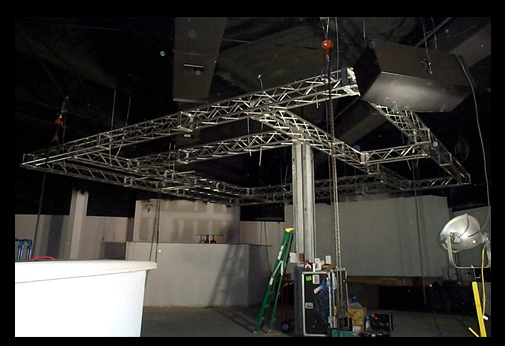 Two separate high powered sound systems are installed for the live talent Martini Stage and Club V dance floor. Three 7-foot equipment racks housed in a special climate controlled room are another stellar example of our mil-grade installation techniques. A 20,000 sq. 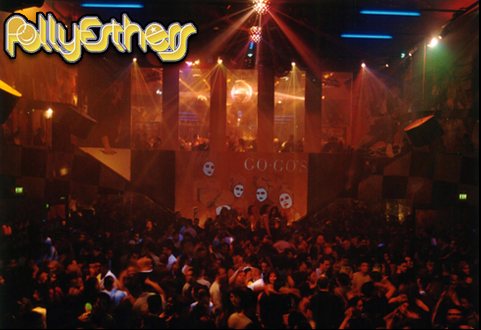 ft. 1970's/80's theme destination nightclub featuring two nightclubs on separate levels. Design, project management and installation of the sound systems as well as provided installation of all video displays at this huge entertainment & dining complex in Tampa Channelside. Multiple venues included state of the art game room, sports bar, raw bar, two restaurants, high powered nightclub, outdoor patio, billiards room, banquet facility, VIP lounge and all common areas. This pristine installation consisted of a 20,000 watt dance floor and 15,000 watt, 5-zone distributed audio system which provided clean, powerful and perfectly balanced sound night after night.